Are you going on a long road trip or figuring out how to move across the across the country? Moving can be one of the most stressful things a person can endure. Are you going on a long road trip? That can also be incredibly stressful. Not only do you have to plan your trip, but you also need to watch your wallet. There are so many different aspects to worry about, such as logistics, lodging and figuring out the cost to move. I thought I would share my tips as I have moved several times. I have moved across the country twice, as well as out of state. I've also relocated to a different city in the same state, so I have quite a bit of tips when it comes to moving. Whether you are moving across the country on a budget or just moving a few hours away from your current home, I want to share all my favorite moving tips that I have learned over the years. 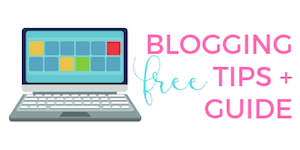 As many of you know, or incase you are brand new to my blog, I quit my day job to blog and work online full time! You can read all about my major announcement here. Because of this, I am moving back across the country to be closer to friends and family. Anyways, back to how to move across the country! 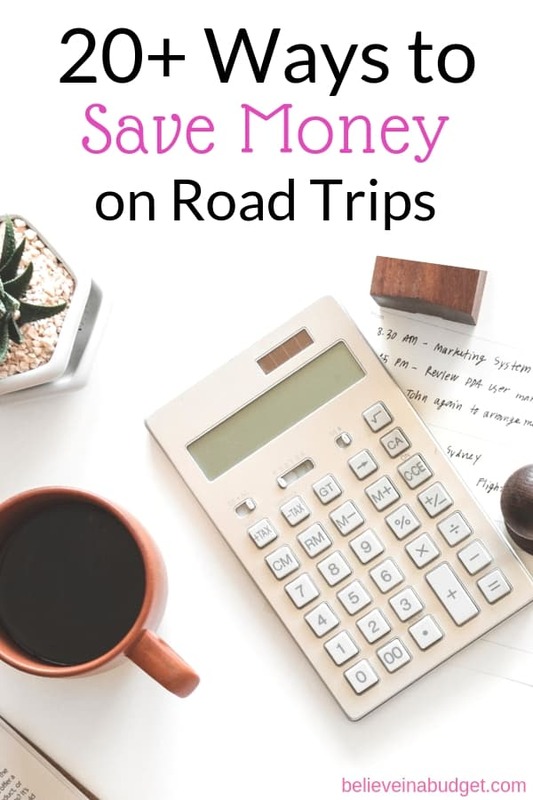 Once you have figured out the total mileage for the trip, it's a good idea to break the mileage down into days or even hours so you can prepare your budget. Some people like to drive at a more leisurely pace and incorporate frequent stops. Others want the trip to be over as quickly as possible. After determining how many miles you would like to cover in a day, it's important to look at a map and make sure it is feasible. I also like to refer to a map to make sure my overnight stay is in a safe area with lodging. Since I will be pre-booking my hotel stays in advance, it's important there is a hotel in the vicinity of where I would like to stop for the night. This might include adjusting my original daily mileage to make sure I am stopping in a safe area with lodging, gas station and dining options. Finally, I like to make sure I track my gas miles by resetting my odometer when I start my journey. Even though I'm using a map on my phone, this is mostly so I can track gas milage and make sure my car is performing well. Will You Need a Moving Truck? Getting a moving truck can be expensive, especially if you're doing a move across the country. Most truck rental companies will have a mileage limit so you'll need to keep that in mind. Before comparing quotes on vehicles, you may want to look at all your belongings and see what you really want to bring with you to your new home. Lots of people who move far distances opt to bring a limited amount of items in their car, then purchase new furniture, kitchen supplies, etc. once they reach their destination. If you're going to rent a moving truck, however, realize that it could be your priciest expenses and you'll want to get the most bang for your buck. Once you have figured out how many miles your trip is, you can estimate how much money you'll need for gas and you can start planning out when you'll stop to refuel. Simply divide how far you can go on a tank of gas into your overall mileage and round up. Once you have your total, multiply how much it costs you to fill up a tank of gas by how many times you will need to refill. 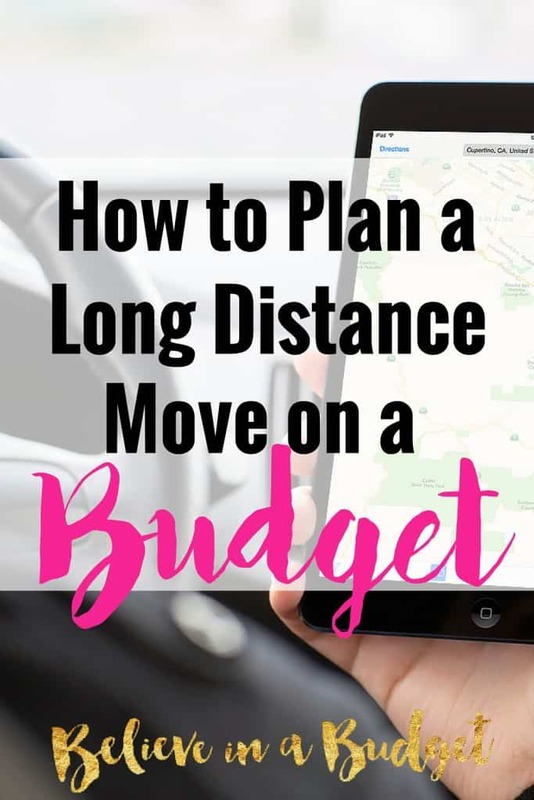 This is one of the easiest and best ways to figure out how to move across the country on a budget and avoid any unexpected surprises. Do you have any toll roads on your drive? You should know ahead of time based on your travel route. It's a good idea to keep the change and some cash on you. You don't want to be unprepared and have to stop at an ATM while traveling and deal with those expensive fees. Plus, as you're passing through states that may have toll roads, you don't want to miss some tolls and have to burden yourself with the responsibility of paying them later on. Odds are, you could forget. I recommend keeping cash and quarters with you, especially if you encounter a toll that is unmanned and requires exact change. To maximize savings, it's best to book a hotel stay as early as possible. I'll initially start my hotel search with hotel chains where I have reward points. Whether or not I have reward points, I always start my search using Ebates. Ebates is a cash back website where you earn a percentage back of your purchase. Ebates works with a ton of hotels, so I like to take advantage and save as much as possible with Ebates and then selecting a hotel where I can earn points. Sign up for Ebates here and get $10 bonus! Another option I use for lodging when I travel is Airbnb and it's often very budget-friendly. Airbnb is a fun and creative way to save money. Over the past couple of years, I have stayed at a handful of Airbnb rentals and saved a ton of money. *Breakfast is a great perk, but not always necessary. Usually I leave too early in the morning, so I grab coffee and food on the go! My biggest priority is to search for pet-friendly hotels. Since I will be traveling with pets, their comfort is my main concern. When reserving a room, I generally ask for a ground level room near a front or side entrance. This makes for a quick dash outside if my pets have to go to the bathroom. I also like to walk my dogs in the evening and in the morning so they can get some exercise, so hotel location and safety is a top priority! In an effort to eat healthily and save money, I like to pack a small cooler with bottles of water, fruit, granola bars, etc. If breakfast is included with my hotel stay, I'll usually grab a piece of fruit or yogurt for the road. If you really want to be committed to a better diet on the road, you can order a few groceries from Shipt prior to your departure and keep them with you in a cooler while you travel. Shipt also has same day delivery with Target, which is amazing. You can prepare sandwiches and munch on other healthy snacks instead of having to stop and settle for pricey and unhealthy fast food. Get $10 here for signing up with Shipt! Alternatively, depending on where you are are staying, you can place an order with Amazon Fresh. Because I am obsessed with coffee, I always refer to my Starbucks or Dunkin Donuts app on my phone for coffee locations. The Yelp app is another great app to use on a move across the country. It's really convenient to be able to search for dining options ahead of time instead of relying on road signs since a lot of places aren't advertised. Finally, using the Google Maps option is a great tool to find gas stations, restaurants, and hotels! While I touched on hotel lodging earlier, my primary concern is making sure my pets are comfortable during the entire trip. First, I make sure the back area of my car is covered (I have an SUV) with this protectant liner. The liners come in different sizes. I wasn't sure about my size when I ordered, so I sized up to be safe. It ended up being a little too long, so I just folded the extra part of the liner under for extra padding. Pet hair drives me crazy and this protects everything from getting dirty! Additionally, a protectant liner is also great for simply protecting your car. If you're worried about spills or damaging the inside of your car, I recommend a liner. Plus it's easy to throw in the washing machine! I actually leave almost all of this in the back of my car in a bin, but here's a good list of what you can pack on a road trip or when moving across the country. This stepper is a must, especially if you're dog can't jump out of the car. My SUV is pretty high up and with my dogs being older, jumping in and out of the car is no longer an option. I tested out a few different ones, and this stepper is the sturdiest. My dogs also like how it feels – it's a mix of carpet on the stairs, but is made out of plastic. At every pit stop, one of us will walk the dogs while the other person gets gas. This saves time by multi-tasking! Leave really early in the morning. I find that if I can be on the road by 5 or 6 am, I can really get a head start on the day. I prefer driving during daylight hours, so I would rather drive early in the morning as opposed to late at night. Multi-task at the gas station. Assign one person to pump gas and another person to run in to buy snacks, use the bathroom or walk the dogs. Each time you stop to get gas, you can easily waste 15-30 minutes of your time that you could be driving. This can add up, especially if you have to get gas three or four times in one day! Try to avoid congestion during rush hour. While this cannot always be avoided, take a look at where you will be at a certain time of the day. If you anticipate being in a huge metropolitan area at 5:30 pm, see if you can leave an hour early to try to beat traffic. This take some planning, but there is nothing worse than driving for several hours only to get stuck in rush hour traffic! Keep a small garbage bag in your car. I can't stand having a bunch of garbage in the car and making it dirty. Fill the bag up and then toss it at the gas station! This car garbage can on Amazon is pretty cool! Put your receipts in an envelope, especially if you will have reimbursements from an employer or for a tax deduction. You can deduct your move across the country as long as you are starting a new job within 6 months of your move! Keep your car organized! If you have an overnight bag, keep it in a convenient spot to make it easy to take out and repack each day. You don't want to have to dig and rearrange items each day, as that wastes time! Be flexible. There are many elements you can't control, such as the weather or traffic. Give yourself some leeway when it comes to your move. Cash in points for gas cards or dining gift cards from reward programs. I rely on Ebates, Shopkick, and Ibotta! Use an Entertainment book for Buy One, Get One free coupon. There are tons of nationwide dining coupons and coupons for oil changes. Try to purchase one for the city you are moving to so you can reuse it. Download podcasts, music playlists or audio books to make the drive more enjoyable. 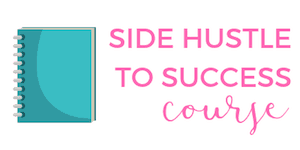 Audible offers a free 30 day trial and is my favorite place to look for books. What tips do you have on how to move across the country? How do you save money moving in general? 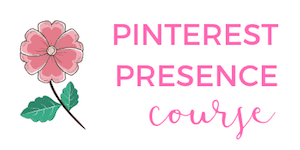 Great tips and extremely helpful! I’m looking to move from Maine to Texas or Tennessee and these will certainly help me out whenever I decide to actually move! Thank you! Oh yay, I just moved to Tennessee! Look me up if you’re in Nashville, ha! Oh wow, that’s quite the drive! Be careful! Oh yay!! I just moved to Nashville and love it here!! Excellent tips and it is very helpful. Thanks. Oh how exciting! I’ve been here for about a month and LOVE it! Tolls are such an important thing to think about for a long drive. I recently took a road trip in France and was hit with many tolls, the most expensive of which cost $21! Crazy! Gotta remember to factor that in when consider alternative transportation options. Tolls are the worst. And they can add up so fast! I’m such a baby when it comes to driving in big cities. I would be scared to drive across the country. (You can tell I was born and raised in a small town, right? 🙂 ) It does sound like an exciting move though and I hope everything works out really well for you! Thanks Alexis! Luckily I will have my mom with me – otherwise I’d be pretty nervous!